New Delhi: Vice Admiral Bimal Verma on Monday moved the Armed Forces Tribunal against his supersession and appointment of Vice Admiral Karambir Singh as the next Chief of Indian Navy. Vice Admiral Karambir Singh will take over as the new Navy Chief after Admiral Sunil Lanba completes his three-year term on 31 May, 2019. Singh will supersede Vice Admiral Bimal Verma, who is the senior most in terms of length of service. 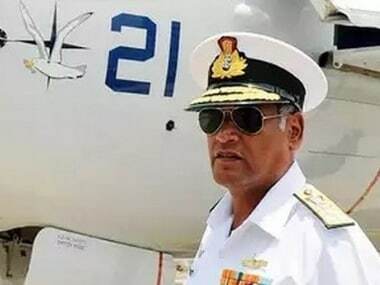 "The Government has appointed Vice Admiral Karanbir Singh, Eastern Naval Commander as the next Chief of Naval Staff in place of Admiral Sunil Lanba who vacates the office on 31 May, 2019," Defence Ministry spokesperson Colonel Aman Anand earlier said. This was the second time, including the appointment of General Bipin Rawat as Army Chief in 2016, when the Prime Minister Narendra Modi-led government had not gone by seniority, but merit among the senior most officers. He also served as the Vice Chief of Naval Staff at the headquarters in New Delhi before moving to Vishakhapatnam in 2018 as Eastern Naval Commander.